1.Using a dutch oven (this is key) heat on the stove top on medium-high heat. Add 1 tbl of olive oil and your chopped onions. Let them cook for about 1 to 2 minutes on medium high heat while stirring them occasionally. Then take the onions out and set aside. 2. Next add the baby carrots into the dutch oven, cooking them on medium high heat for 1 to 2 minutes stirring occasionally. Then take out and set aside with the onions. This coats the pan with a little extra flavor. The first two steps are completely optional. 3. Add in the other tbl of olive oil into the pan. 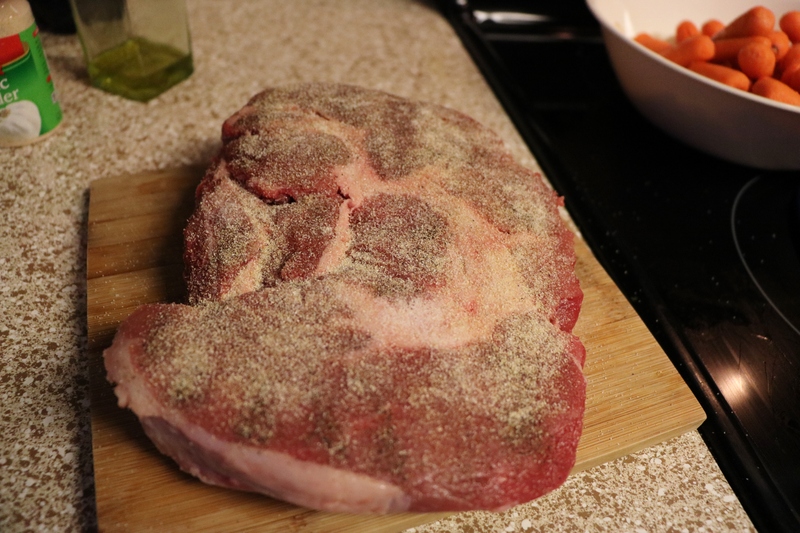 Time for the seasoning. Mix all your seasonings, together in a small bowl. Then equally distribute the mix onto each side of the roast. Then put your roast into the dutch oven, and cook each side for a full minute on medium high heat. This helps lock in all that flavor. 4. 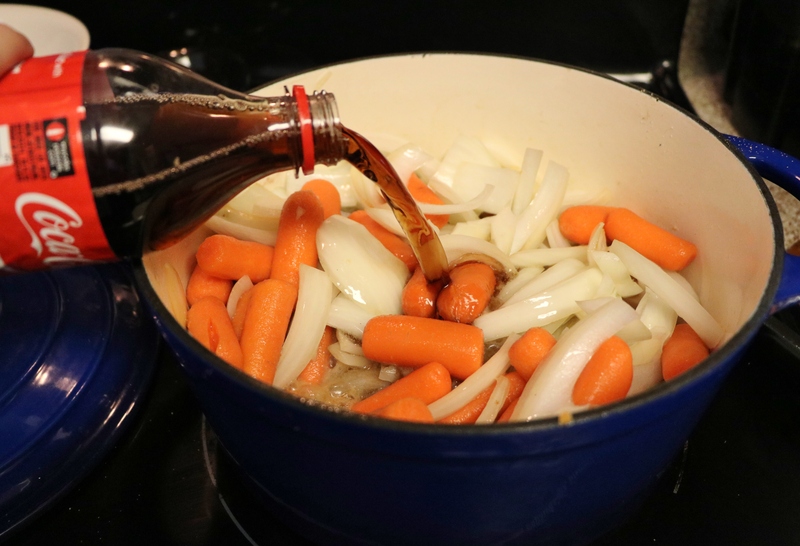 Add your carrots and onions back into the dutch oven on top of your roast. Then pour in the entire bottle of Coca Cola. 5. Pop the lid on top and stick in the oven. You’ll cook it for 6 to 7 hours. 6. If you decide to add potatoes, cut them fairly small and then add them in with your roast when there is about 4 hours left of cooking time. This is so they’re nice and soft when it’s time to serve. 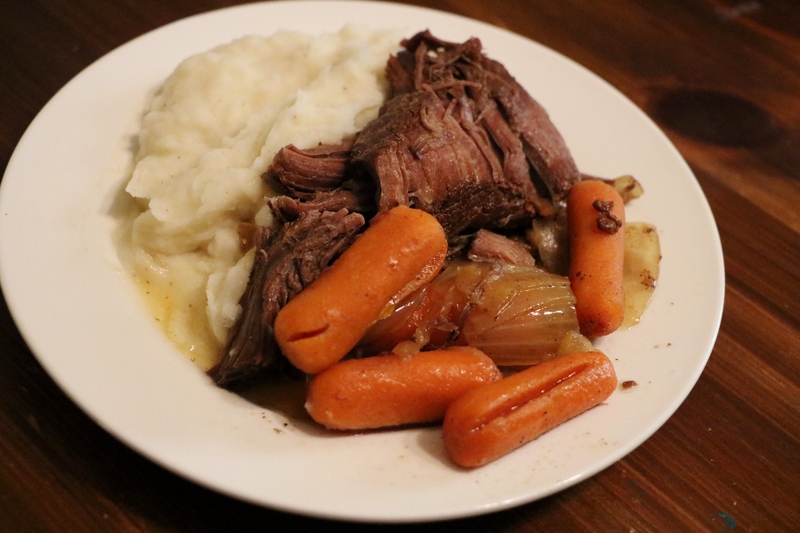 After 6 to 7 hours on 250 degree in the oven you’ll have a perfectly tender, flavorful roast, ready to fed the entire family. That’s it!! 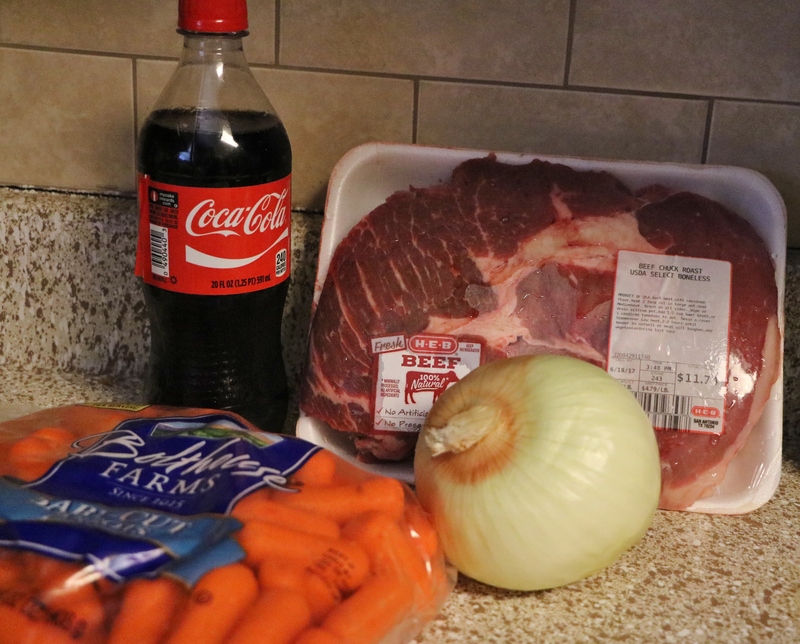 Hope you enjoyed this awesome recipe, let me know if you decide to try it out, or send me a comment below if you have any great cooking tips you’d like to share. I love hearing from y’all. As always thanks for stopping by 🙂 And have a great rest of your week! !